Choosing a good casting rod can be a difficult task especially for anglers who want the most for their money. With different types of fishing rods in the market today, finding a good rod that satisfies one’s preferences is not easy at all. You might end up buying the wrong one and spending more money on something you don’t need. This St Croix Triumph casting rod review will prove that possessing a good rod will not make you a good angler. Having a poor casting rod can also significantly affect your fishing experience. A good fisherman plus a perfect rod equals great performance. Here is a quick recap on what we think of this cast rod. In order to catch a wide range of underwater species, from the smaller variety to king salmon, you are going to need a tough and reliable rod with a lightweight feel. Get something that you will love to have on all of your fishing trips. Make sure you choose the one that offers great action. And of course, not forgetting to mention it has to be very convenient to bring along, either on a plane or in a car. 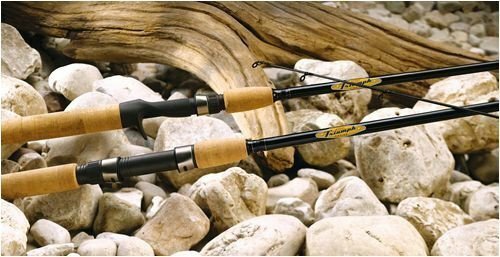 We have written this St Croix Triumph travel rod review to show you that it is a tool that you should not miss. Here are some of the amazing features of St Croix Triumph casting rod which makes it so popular among fishing anglers. Some travel rods let you do one thing but not the other. For example, you can use the tool in catching medium-sized fish varieties but not intended for light lures. Good thing, you don’t have a problem like this with St. Croix Triumph travel rod. It is not just very lightweight and easy to carry, because of its four-piece design. But it also offers sensitivity, strength, and accuracy in good measures. It will hold its own during a fight, and you will not have any problem catching 25-pound salmon or other variety of fishes. Casting long distances is not a problem with this rod, especially if you use the appropriate weight of lure. Aside from its functionality, power is another important feature of this rod. St. Croix rod provides you great strength in tough situations. If you frequently go on pike fishing, you would surely love using this rod. One of the reasons is that it won’t let the pike flee underneath the boat. A medium action casting rod can bend to a C shape, up to the half of the rod's length. This will enable the anglers to fish small and large varieties with better control. If you are concern about hook power, there is no need for you to worry as St. Croix Triumph has a lot of it. This rod can be very helpful in many different fishing situations and for several fish species. St. Croix Triumph is made of premium quality SCII graphite, which remains lightweight without compromising the strength. 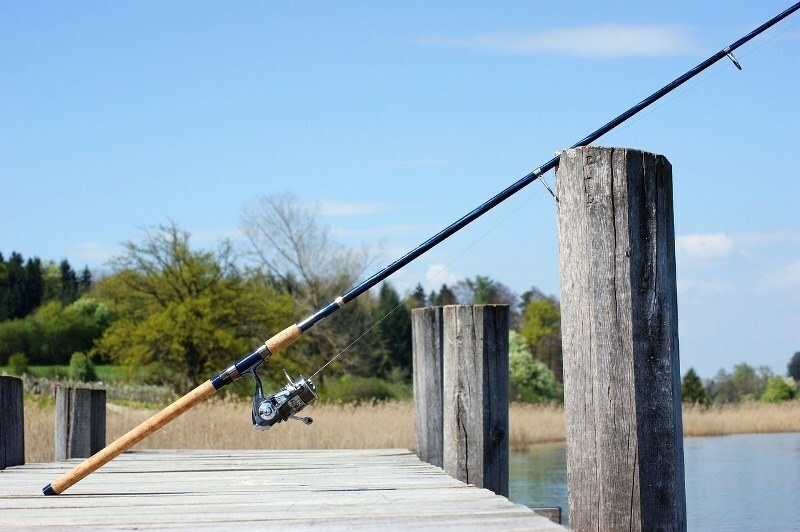 Another vital feature to think about when purchasing a new fishing rod is action. This feature refers to the extent of a rod to bend upon applying pressure exerted on its tip. Fishing rod action is divided into three categories – slow action, medium/moderate action, and fast action. 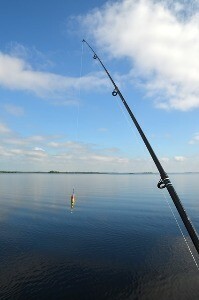 It is very vital that you choose a rod with an action appropriate to your fishing requirements. St. Croix Triumph casting rod belongs to medium/moderate action category. It means that it can bend up to the top-half of its length, and thus it is more suitable for big and small species and provides impressive hook setting strength and casting distance. St. Croix rods have given equal importance to its most vital features – lightweight, strength, and versatility. You can use this travel rod on your fishing all day long without hurting your shoulders after finishing your fishing adventure. Thanks to its lightweight feature, you can carry the rod with ease anywhere you go. And the fact that it is a four-piece rod it makes everything easier. However, don't let this feature fool you. If you think the rod is not as durable, you are wrong. The rod is strong and lasts longer. You can catch 25-pound salmon or 40-inch pike with ease. You can even catch fish frogs in thick weeds using it. If you use St. Croix premier travel rod for a few times, you will feel good and comfortable with its versatility. Surely, the rod has other strength, but versatility is one of its enticing factors. You achieve moderate action and the degree of sensitivity you need to react fast when the weather is hot. Catching different species of fishes is not a problem at all with this fishing rod because of its light to medium range. 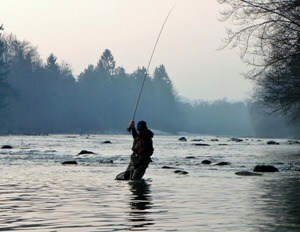 The medium action of this rod has a quick recovery after casting. Even if it is strong, it has enough sensitivity. The users can use light lures with St Croix without any issues. The rod is desgined from a high quality SCII graphite, hence it is durable and still standing strong even after rough usage. It includes a carry case, but only a soft case. Will be much better if they add a hard case. Casting rods and spinning rods are the two major rods sold among anglers in the marekt. If you are just starting out and wish to look for the the best all-around rod, it is recommended to choose the 7' and 6'6" medium-heavy or medium casting rods. The rods function well on almost all techniques and lure varieties. They will be useful to you as you progress. The outcome you get for the money you spend on buying the rods will vary on how frequent you fish and other factors. Also, the more expensive your rod is, the more sensitive and responsive it will be. These will affect your accuracy. As mentioned earlier, a good rod will not make you a better angler, but a poor-quality rod will limit your capability as an angler. If you have a good quality casting rod, you can do better work and progress faster. A good rod will let you feel more of what is going on with your lure. 1. What is the casting rod used for? The primary function of a casting rod is to hold a casting reel, which is usually found above the handle. The rods have small eyes, and it is a forefinger grip trigger. It is the same as the bait casting rods, which means you can use either type of reel on the rod. 2. What is the difference between casting rods and spinning rods? St. Croix Triumph Spinning rod is created to keep the spin casting reel in place, which is fixed above the handle. The casting rods are more potent as compared to spinning rod since you can use heavier line and cover on it. 3. 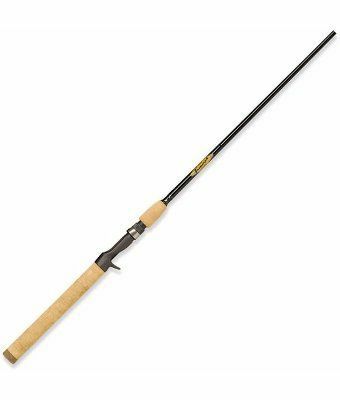 Is St. Croix Triumph casting rod, medium or medium heavy rod? Since it is 7’, it is categorized as a medium fast tip. 4. Can an angler use St. Croix Triumph for strip bass? For strip bass, you need a medium/heavy rod. So if this rod belongs to medium rod only, you need to find another rod that falls on the required category. All in all, this St Croix Triumph casting rod is a great travel rod. Because it is lightweight, it is ideal for hiking, camping, and backpacking. The rod is a combination of sensitivity, strength, and versatility which makes it the number one option of most anglers. St Croix Triumph casting rod has enough resilience to carry up to 25lbs fish while providing enough sensitivity for light lures. This rod is highly recommended to all rounder and therefore we would rate this product 4.6 stars out of 5. Hiya, I’m really glad I have found this information. Today bloggers publish only about gossips and internet and this is really frustrating. A good website with exciting content, that’s what I need. Thanks for keeping this web site, I’ll be visiting it. Do you do newsletters? Can not find it. Thanks Leif, at the moment I do not do newsletters, maybe in the near future.